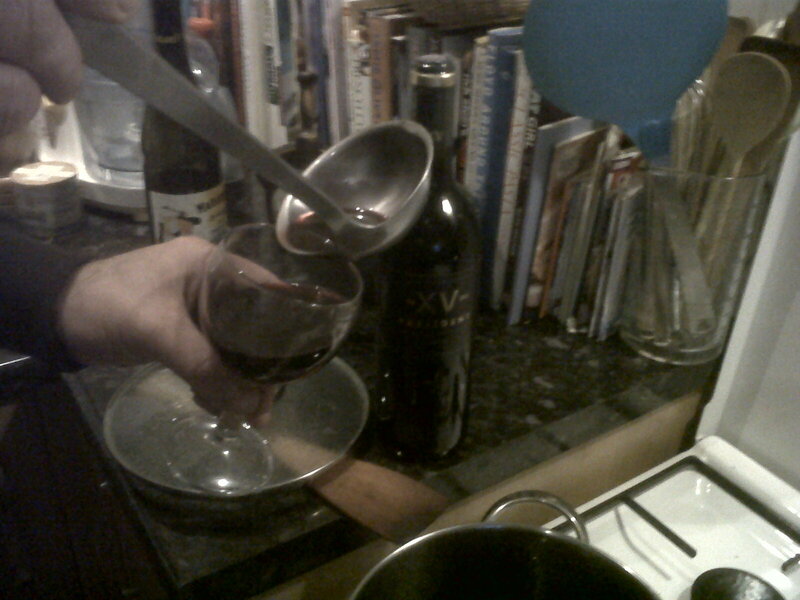 Le Chai Winemakers: Mulled Wine The Winemaker’s Way! 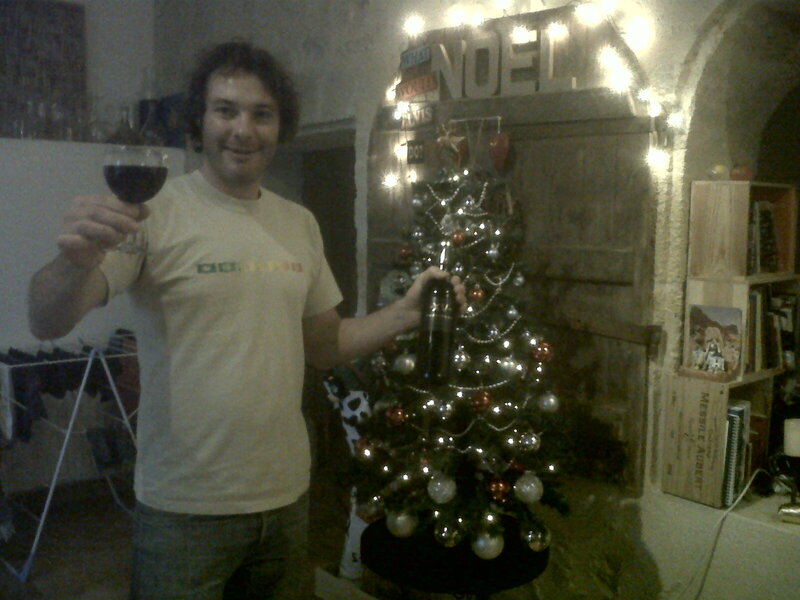 Libby and I went to the Marche de Noel (Christmas market) in a freezing and wet St.Emilion on Sunday. The Marché was held inside in the beautiful Sales des Dominicains where we were greeted on the door by a very jolly and red faced man ladling mulled wine or 'vin chaud' into cups and claiming very boisterously that he made the best mulled wine in France because he used his top wine and subtle selected spices. The idea of Mulled wine on a cold Sunday has always appealed to me but I have never enjoyed one before as they are always too sweet or too much cinnamon or clove – but this happy chap’s mulled wine actually lived up to his claims and tasted great. The merlot character still remained strangely but effectively enhanced by the well chosen spices – which gave me an idea! On returning home full of festive spirit, out of the bitterly cold rainy weather and original Narnia episodes on the TV I began some experimentation in the kitchen to warm us up before our Sunday roast and since Midi is my favourite area I thought a Mulled Midi wine using my President XV 2009 would be perfect. Add all bring to boil, infuse for 10 minutes and ladle away! After my experiments I can actually say that mulled wine makes sense: all the flavours used such as clove, vanilla, cinnamon can be found in oak barrels. Why not try your own version maybe with a Madame F or, if feeling flush, a Petrus? !